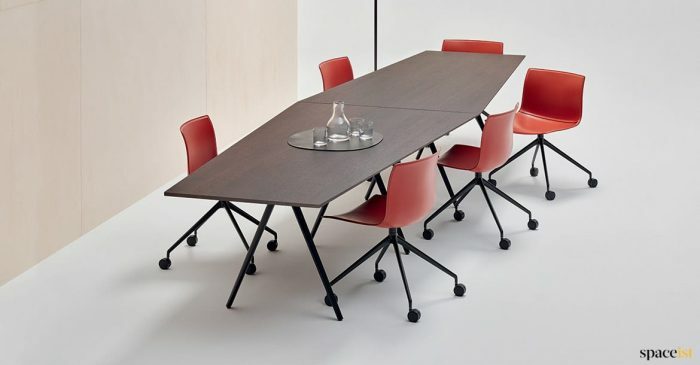 Modern meeting table with a solid wood leg in beech or light oak. 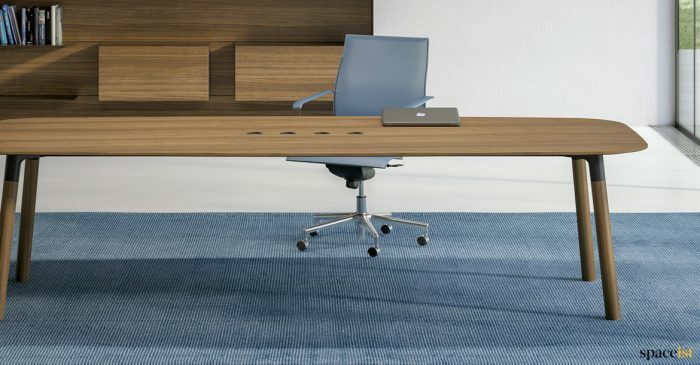 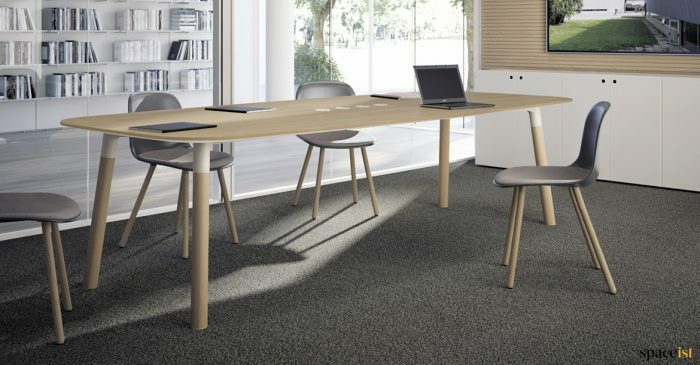 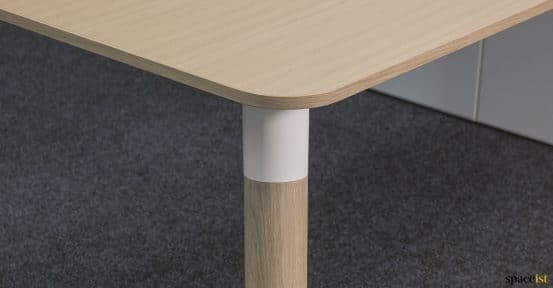 The meeting table top comes in white, grey or beech laminate. 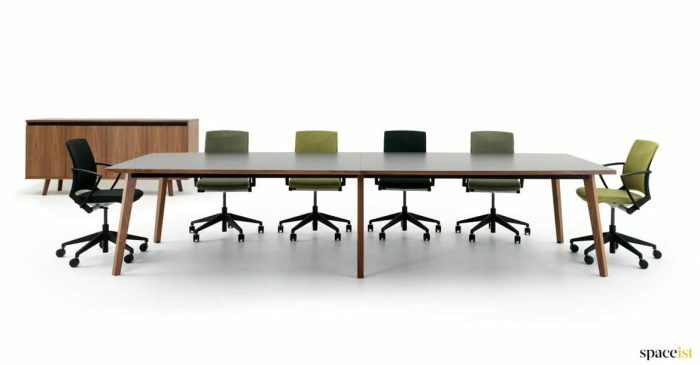 Real oak veneer is also a option for executive meeting rooms. 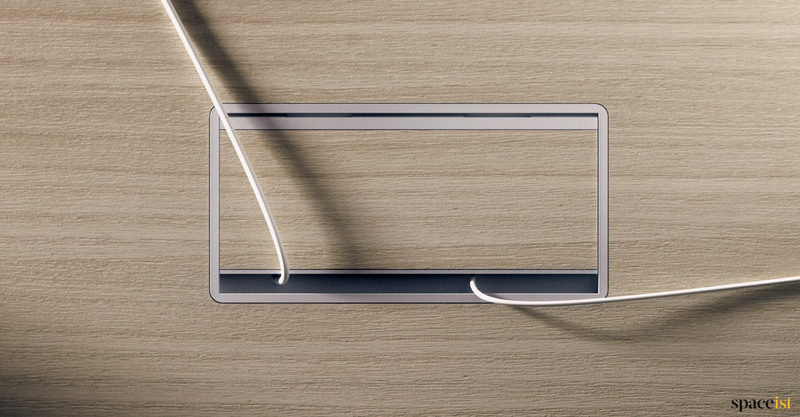 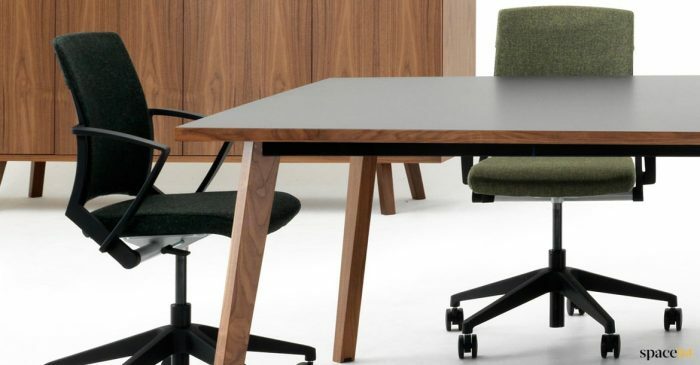 This table is part of the Woods range which includes desks, executive desks and standing desk. 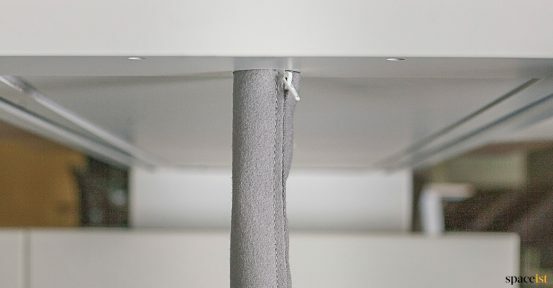 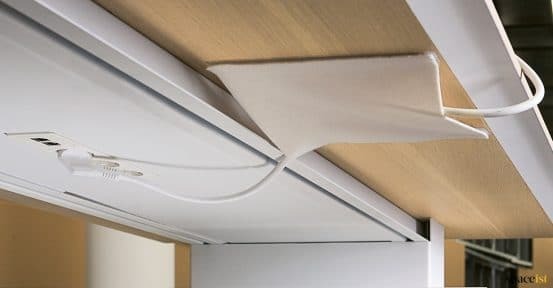 Matching storage is also in the range. 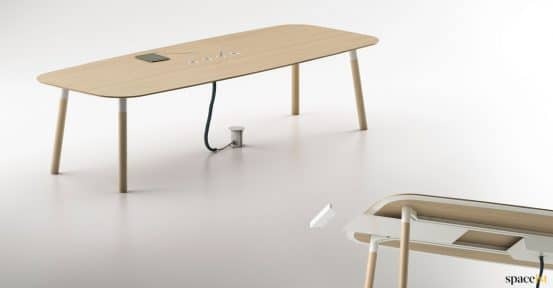 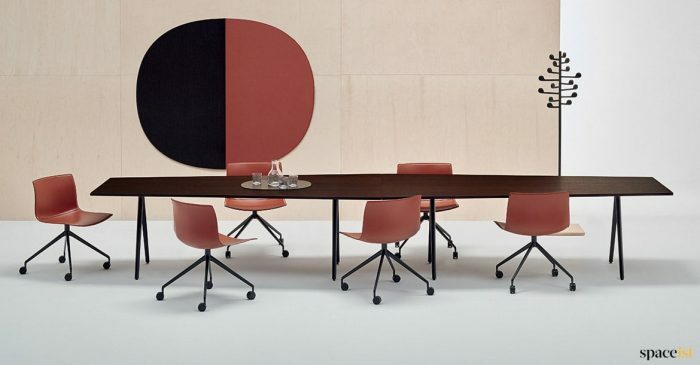 We would suggest the Babila or Noa meeting chair to match this table.